In the last two parts of the blog, we have talked about the various unique and important features of Vatika India Next township near NH-8 in Gurgaon. Till now we have discussed the educational institutes and the healthcare facilities available within the township that have been designed for the convenience and comfort of its residents. So, we will continue our talk about the various features, facilities and amenities that makes Vatika INXT the prime real estate destination in Gurgaon, that everyone is eyeing. Let us continue our talk about the ease of connectivity that the residents will experience while living at one of the most exclusive locations in Gurgaon. Vatika India Next is an upcoming township near NH-8 in Gurgaon, which is spread in a verdant 700 acres*. Designed by some of the most eminent designers and architects, and developed by one of the leading real estate developers in India. The township comprises of several different housing complexes which will cater to the housing needs of an average buyer as well as the elite. 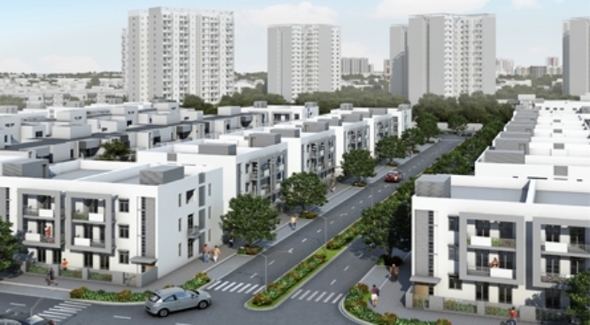 From independent posh villas to high-rises and condos, Vatika INXT has something for everyone. Some of the features and facilities that makes this township different from others is the emphasis that has been given on the meticulous details of the various facets which provides a holistic living experience, while considering the ecological impact. The township provides excellent connectivity within the campus as well with the outside world. Vatika India Next is strategically located located at one of the most important junctions in Gurgaon. Also, with the proposed plan of an Inter State Bus Terminus (ISBT) and a metro line adjacent to the township, and some of the major landmarks, like Iffco chowk and Medicity within 15 kms from the front gate, it will offer its residents with the ease of travelling and commutation. Vatika India Next township conveniently sits in one of the most sought after and desirable locations in Gurgaon. Strategically located at the intersection of two of the most important roads, i.e., NH-8 and the upcoming 150 mtrs wide Dwarka Expressway connecting you to North-West Delhi. This makes Vatika INXT a place of strategical and geographical importance, and at the same time offers great connectivity with Delhi as well as rest of Gurgaon. The geographical location of Vatika INXT township makes it convenient for its residents to travel to Delhi, the international airport and most parts of Gurgaon within easy reach. The Government has proposed (as per Gurgaon-Manesar Urban Complex, 2025 Master Plan) an Inter State Bus terminus and a metro line, making it a hub at the intersection of the South Delhi – Gurgaon metro line and the Dwarka metro line, adjacent to the Vatika INXT township. It will prove to be a boon to its residents, even if you are buying a property in the project, purely as an investment, the return on investment a few years down the line will be enormous. Vatika India Next offers as much connectivity with the outside world as it does internally. As the township is designed to be a self-sufficient city, great attention to detail has been given while planning its internal transport system. We understand that in the course of daily lives, residents will be going to work, going out for shopping, taking your family out to dinner, dropping children off to school, socializing with friends, and to do all this one will have to commute either by car or on foot. So to make it as convenient and hassle-free as possible the entire city has pedestrian-friendly walkways and footpaths as well as well maintained, broad roads. These commuting facilities has been planned and designed for usability as well as for aesthetic appeal, that makes going out with you family or enjoying time with friends as fun as possible. Vatika INXT has been designed and developed keeping in mind the most basic elements of ease, convenience and comfort with a holistic approach to life, and intelligent use of the necessary energy and resources to support and sustain it. In the next part of this blog we will talk about the features and facilities that support the ecological aspect of its residents and the township mainly concerning the environment and its conservation. So stay tuned! This entry was posted in Property Tips and tagged apartments, buy home in gurgaon, flats, homes, homes in gurgaon, house in gurgaon, residential properties, residential societies, residential society in gurgaon on January 18, 2014 by Admin.